Hillary Clinton gave an excellent performance at the debate. Photo courtesy of Google Images. “Who won the debate?” is always a subjective and biased opinion. There is no universal scorecard to decide a winner. As a Hillary Clinton supporter, I am biased, but my opinion is not uninformed. I watched the same debate as everyone else. Hillary came into the debate as the front-runner for the nomination and left in the same position. She didn’t need to win new supporters. She just needed just to appeal to her base—and she did just that. Clinton only needed to turn in a good performance, and she delivered a fantastic performance. Hillary was head and shoulders above the rest in her command of policy, especially foreign policy. Her opponents simply could not match her experience. She was direct and passionate on issues ranging from climate change to immigration to women’s rights. She also underscored Republicans’ obsession with opposing government programs that would help women balance their lives. On all of these, she revealed her progressive values to her doubters. When Anderson Cooper asked if she was a moderate or a progressive, Clinton answered, “I’m a progressive—but I like to get things done,” which was met with cheers. This was the central message of the night, and it came through loud and clear. Meanwhile, Clinton stayed on topic and found her way out of one close jam after another, including an opening grilling from Cooper about a slew of reversals on topics ranging from marriage equality to the Trans-Pacific Partnership. And if nothing else, her email scandal was effectively eliminated as a primary issue, thanks to Bernie’s benevolence. Bernie Sanders also fared well in the debate. He had his own strong moments, such as taking an offensive on capitalism and calling out the media’s sensationalism over Secretary Clinton’s email “scandal.” He was passionate, and his supporters couldn’t be happier. But, according to CNN’s Maria Cardona, Sanders “failed to expand his appeal sufficiently to a broader, more demographically diverse audience.” He also stumbled when explaining his gun record, especially votes against the Brady Bill and his 2005 vote to shield gun makers and dealers from lawsuits. 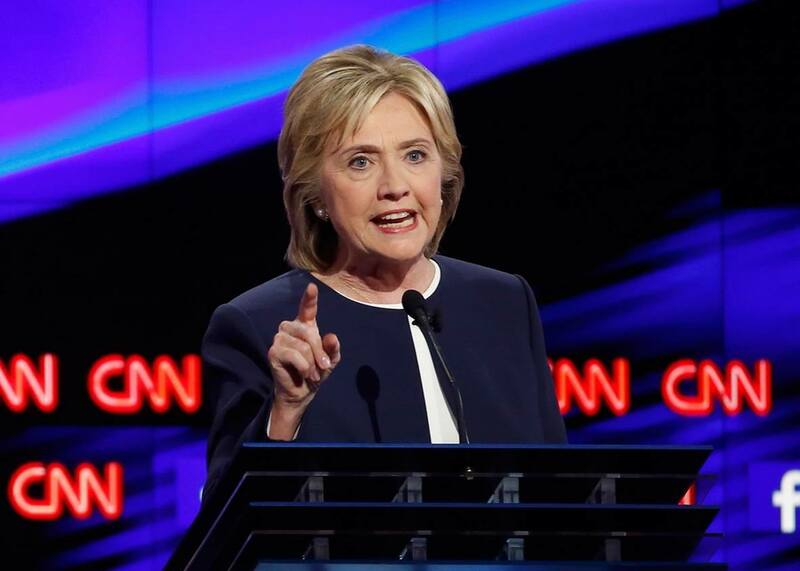 With Sanders struggling, Cooper turned to Clinton to ask if her rival is “tough enough on guns.” Hillary, who earlier this month laid out her extensive gun reform proposal, didn’t hesitate. “No,” she said, “not at all.” Though Sanders may get the long-term benefit of exposure, based solely on what I saw on the debate stage Tuesday night, Hillary gave the stronger performance.